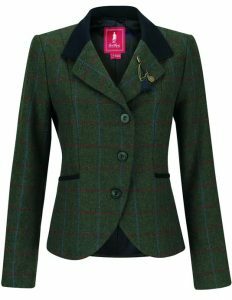 New for the Autumn and Winter Season 2018 is this practical but stylish ladies Kensington Coat which is both waterproof and breathable. 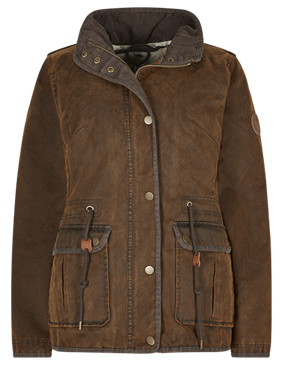 The style of the kensington coat is influenced by the classic outback drovers coat and is manufactured in a tough durable fabric. 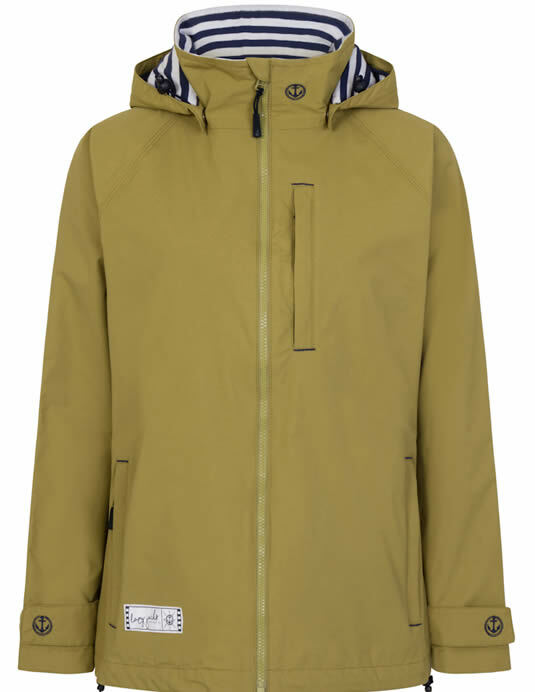 For extra protection against the elements, the Kensington coat features a zip-in adjustable hood, Moleskin lined collar and toned imitation nubuck trims. Our Bamburgh Long Sleeve Top has a slouchy neck with stretch for that added comfort. The striking cationic fabric gives the Bamburgh a contemporary sporty appeal. The Bamburgh Top features shaped seam lines at the front and back to enhance the feminine shape along with subtle embroideries at the hem, back neck and cuff. 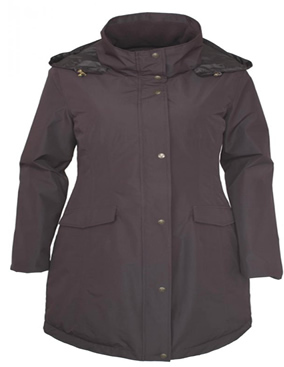 Our Arnaby Dog Walker Coat is fully waterproof and breathable with taped seams. 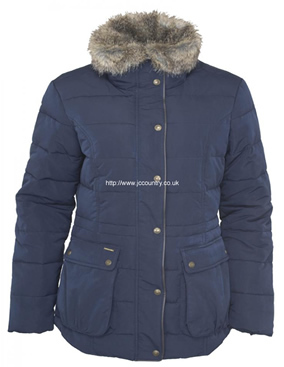 It features internal padding throughout the body of the coat ensuring that you will stay warm and toasty but also remain completely dry. 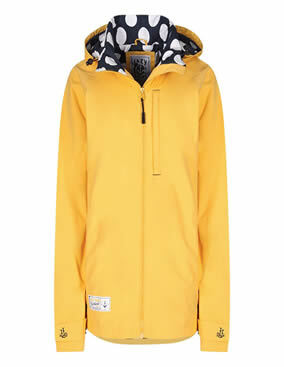 The Arnaby Coat also has a removable hood and useful pockets, one of which includes a detachable treat pocket. As well as being practical this coat is very stylish as the design incorporates shaping at the waist for that flattering look. 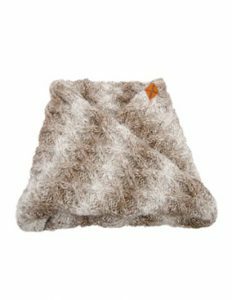 Wearing the Arnaby Dog Walker Coat you will be able to go for long walks with your dog knowing that you will stay warm and dry aswel as having a special pocket for plenty of treats for your beloved pooch. 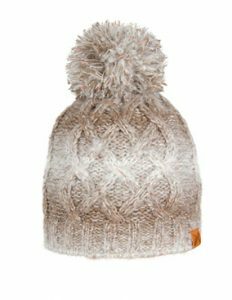 Our beautiful knitted Extremities Ombre Donegal Beanie is functional as well as being on-trend with its ombre shading. 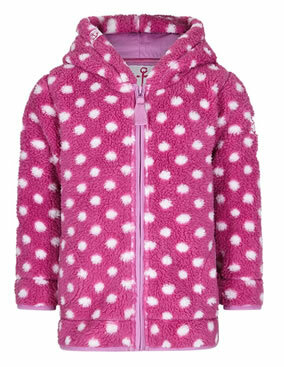 It is fully fleece lined to keep you warm when the temperature drops and ideal for walking the dog and school runs as well as walks on the hills. The Ombre Donegal Beanie will look great teamed with our matching Ombre Neck Warmer and Ombre Mitts. An ideal gift for that lady in your life. The beanie also comes in dragonfly blue and red wine. 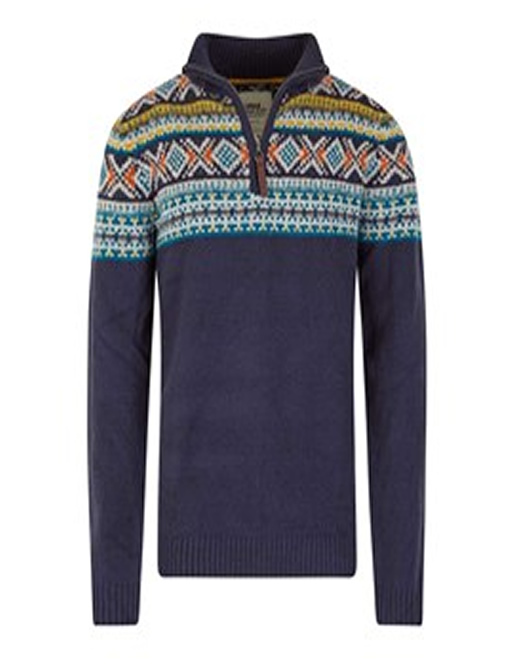 Our new Kenmore 1/4 Zip Fair Isle Knitted Jumper is perfect for this season. With an authentic homespun look, great earthy tones and subtle Weird Fish branding the Kenmore Fair Isle Knitted Jumper includes a little stretch in its clever fabric composition to give all day comfort. The Fair Isle Jumper is itch-free, soft, warm and comfortable. Our Kara Fair Isle Jumper is created with multiple fabrics and with the fluffy finish the kara fair isle jumper is perfect for the winter season, ideal for casual days and lazy days. 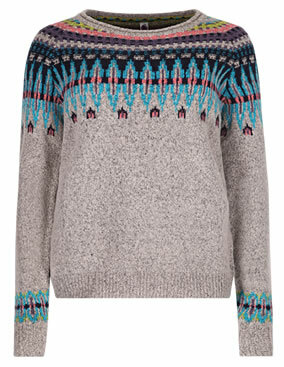 It features a roll over neck detail, ribbed cuffs and hem and is a seasonal fair isle knit. Wear on it’s own or team it with a shirt. This brown country floral scarf will add a touch of colour to your outfit with its hints of purple and green this season! Tulchan scarves make great additions to any wardrobe. 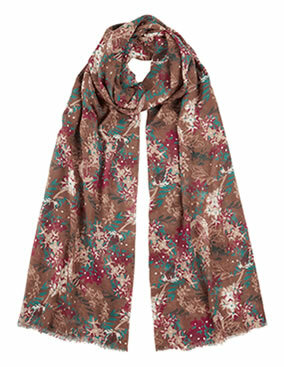 Our Tulchan country floral scarf looks great teamed with jackets, shirts or jumpers to add a beautiful colour boost. The Tulchan Country Floral Scarf will make the perfect gift for the lady in your life. 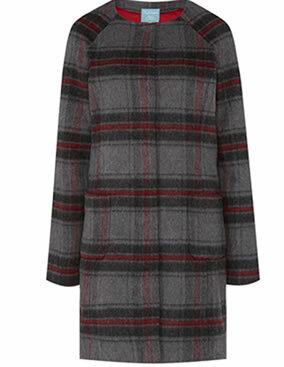 Our collarless check coat has a round neck and features patched pockets, press stud fastening and a soft, satin lining. 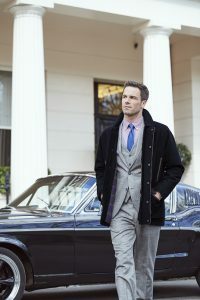 This check coat is a luxurious wool blend and is guaranteed to keep you warm and toasty this winter. 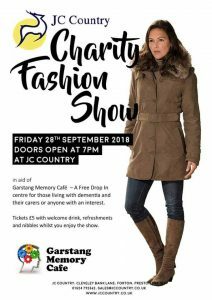 Come and look at the rest of our Tulcan Collection. 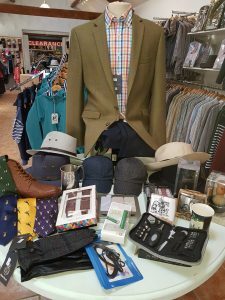 We are open seven days a week from 9.30am til 4.30pm. If you can’t get to see us you can always order online via our website. 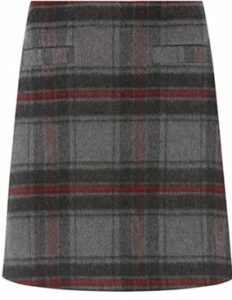 Our classic as well as trendy wool blend brush check skirt will keep you warm and stylish in the winter. 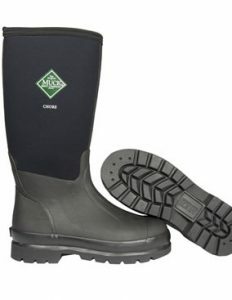 It sits just above-the-knee and features 2 welt pockets at the front. 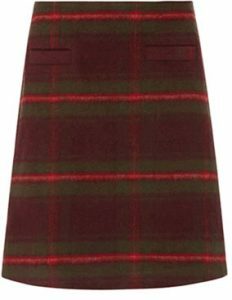 We love the extra softness from the satin lining of the brush check skirt. Its simple design with no waistband makes it extremely comfortable and flattering to wear – a winter must-have! Also available in eggplant purple check. 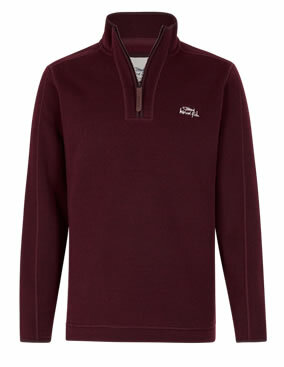 For the man in your life our weird fish 1/4 zip soft knit top is a great choice for long days out in the country or for lazy weekends. 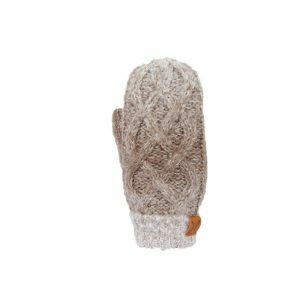 It is stylish, warm and comfortable. 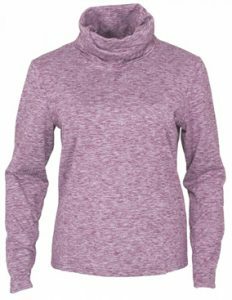 The weird fish 1/4 zip soft knit top features a zip with leather weird fish zip pull, two jersey lined pockets, elastic binding on the collar and cuffs and small side vents at the hem to aid movement. It also features the weird fish logo on the left chest. It is a great piece to add to your wardrobe for when it’s a chilly day. 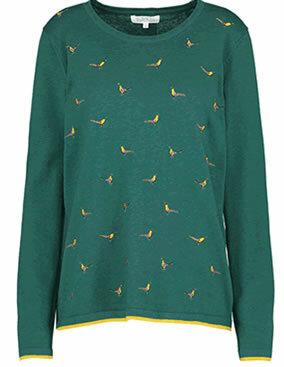 Take a look at our Tulchan Embroidered Pheasant Jumper. It is made from a blend of cotton and Merino wool which makes it so soft to the touch and is finished with a mustard yellow tipping at the hem and cuffs and features a button placket at back neck to finish it off nicely. The Embroidered Pheasant Jumper looks great over a white shirt for a country, weekend look or wear it on it’s own, the choice is your’s. A must for any wardrobe. Our Rosenberg fur lined Hooded Macaroni Gilet is the ideal piece of clothing to wear this season for next-level heat and luxury. This thick, extra chunky Macaroni sweatshirt fabric with an ideal soft plush fur lining gives you levels of cosiness and contentment. The plush fur lining is in the body and hood for extra warmth and features a twisted flat drawcord at the hood, great to wear with anything this Autumn/Winter. The Irelands Eye Killiney Cardigan is a cashmere blend which makes it warm and soft to the touch. This killiney cardigan has a crew neck with a contrasting colour around the rim of the neck and sleeves which creates a stylish look. It can be worn casually or formally. 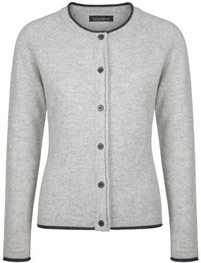 The Kiliney Cardigan is a must for any ladies wardrobe. 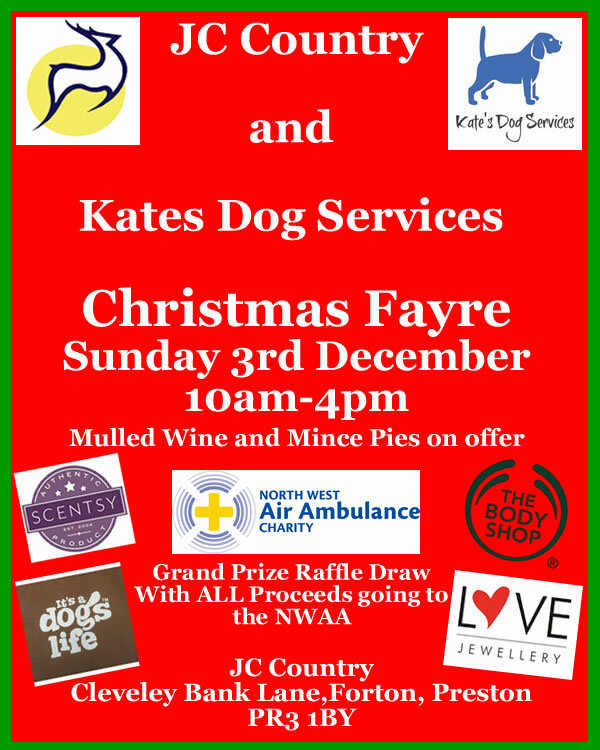 Come along and have a browse. More of our new Autumn/Winter range coming soon!!! 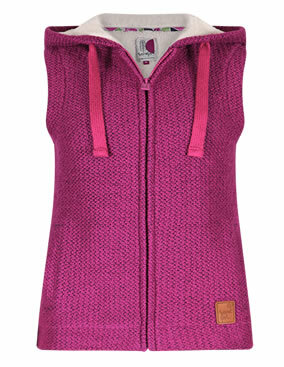 Our Southwick Fleece Bodywarmer has a full front zip, zipped hand pockets and an inside zipped pocket. It features a diamond quilt stitching at the back across the shoulders. 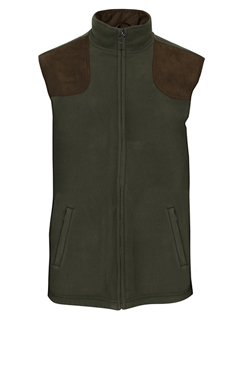 This fleece bodywarmer is the ideal piece of clothing for the man that likes the great outdoors, whether he’s fishing, shooting or just enjoying a countryside stroll.